Netra Technologies is happy to announce that our next major release v3.0 of NetraPLM is set for 23rd November 2015, and is scheduled to be followed by patch releases and upgrades through January 2017. “We are very excited to announce the release of NetraPLM v3.0; which includes many additional features, and interfaces to bill of materials data sources to help create functionally optimized geometry that is inconceivable based on conventional design and manufacturing methods,” said Ganesh Kousik, Product Manager of Netra Technologies. “Previous reporting functionality and workflow challenges have been fixed with v3.0 that will help effectively streamline communications within the organization or with external partners to work more efficiently. We have a vision for how the technology fits together from end-to-end and this release is putting that vision in place to move the industry forward. We are looking forward to continue to work with our clients to design and develop customized software to meet their business needs. Executives interested in learning more about how NetraPLM™ can streamline processes, improve their global competitiveness, and enhance ROI can visit www.netratechnologies.com or call Ganesh Kousik at (630) 701-9867 for more information. As a key step in our Continuing Education Program, Netra University launches multiple SAP training courses for our staff and clients. Netra recognizes that demand for SAP Business Suite powered by SAP Hana, SAP Mobility and related custom applications, Fiori, Persona and Hybris are newer technologies that SAP has deployed successfully and we will be offering multiple courses as part of a strategic investment in our SAP practice and professionals. Since the launch of SAP Business Suite powered by SAP Hana, the in-memory database software offered by SAP, Hana is being touted as one of the fastest growing software in the world and certainly the fastest growing software product in SAPs history. Make no mistake, SAP is betting the farm on this product, with over 1200 customers and growing, including cloud capability this is technology is the future SAP software platform. Class Overview: Hands on SAP Hana Training with introduction to Fiori and Persona. With these type of capabilities and superlatives tied to this product, it would not be a surprising to find a higher demand for SAP Hana professionals and multitude of long-term career opportunities. Today large corporations are eager to acquire and build competitive advantages, SAP Hana touts many such advantages, including but not limited to managing massive data volumes at high speeds, provides a much closer to “real” in real-time results, consolidate and gain insights from both structured and unstructured data, makes it easier to integrate a wider variety of enterprise environments and data, offers predictive analytics and complex analysis capabilities, cloud based deployment, long term cost benefits, choice of hardware and software partners to work with and many other benefits. This course taught over a two week period aims to teach, train and empower students both with hands-on and theoretical knowledge of SAP Hana. Course will be taught using a broad curriculum covering architectural, design and development aspects of each Hana component using practical examples and case study where appropriate. Students gain a broad view of key facets tied to SAP Hana data management, including: planning, modeling, architecture, standards, governance, process, tools and resources; essential to successfully participate in corporate SAP Hana engagements. Gain a solid understanding development, architecture, design, and related best practices etc. Cost Effective: Maximizes your training budget: No out-of-town travel expenses. It Is Convenient! Course will be held onsite or nearby. Expert Instructor: Learn from the best and brightest practitioners in the industry today. Anyone desiring to jump-start their career in the SAP space, seeking to learn and get hands-on exposure to SAP Hana should attend. This course is taught by a highly experience SAP Professional with multiple years of experience deploying SAP Hana solutions, is best targeted at technology professionals with some previous experience with SAP ECC/R/3 or with SAP ABAP, Basis or similar development platforms and programming skills. A pre-requisite is previous knowledge, experience with relational databases and knowledge of SQL. An understanding of enterprise software, operating systems, hardware, business intelligence tools, and integration technologies will enhance the learning experience. Attendees may include information architects, analysts, database administrators, data architects, developers, and anyone else who currently is; may be; or is likely to be responsible for, or has interest in properly managing the full business information lifecycle needs using SAP ERP solution in an enterprise. Netra Technologies announces the next release of Netra SCMForWarehousing is set for 3rd June 2015, and is scheduled to be followed by patch releases and upgrades through January 2016. “We are very excited to announce the release of Netra SCMForWarehousing v3.0; which includes many additional features in measuring performance, and incorporates quality techniques, such as quality management systems, to improve warehousing and distribution center operations,” said Ganesh Kousik, Product Manager of Netra Technologies. “Previous reporting functionality and workflow challenges have been fixed with v3.0 that will help effectively streamline communications within the organization as well as allow efficient ways to work with external partners. We have a vision for how the technology fits together from end-to-end and this release is putting that vision in place to move the industry forward. Executives interested in learning more about how Netra SCMForWarehousing can streamline processes, improve their global competitiveness, and enhance ROI can visit www.netratechnologies.com or call Ganesh Kousik at (630) 701-9867 for more information. Netra Technologies is well-known for creating and deploying customized IT solutions for Fortune 1000 companies across North America and Europe. Netra consultants have assisted Caterpillar, Caterpillar Logistics, Neovia Logistics Services, Harley Davidson, Ford, Mazda, Volvo, Terex, Saab, Land Rover and other automotive manufacturers over the years, with custom solutions developed serving needs of APQP, PPAP, PCM, and other third party products. The target date for v2.0 release of NetraPLM is set for 17th November 2014, and will be immediately followed by patch releases scheduled for January 2015. The target date for v2.0 release of Netra SCMForWarehousing is set for 17th December 2014, and will be immediately followed by patch releases scheduled for January 2015. IT and Engineering Job Seekers Welcome! Netra Technologies will hold a Career Fair on Sunday, May 18 at its central Illinois office. Drop by, meet the core team, and get a face-to-face interview with one of our professional recruiters! Feel free to bring your IT and Engineering friends, too. Netra Technologies is well-known for creating and deploying customized IT solutions for Fortune 1000 companies across North America and Europe. Netra consultants have assisted Caterpillar, Caterpillar Logistics, Neovia Logistics Services, Harley Davidson, Ford, Mazda, Volvo, Terex, Saab, Land Rover and other automotive manufacturers over the years, with custom solutions developed using APQP, PCM, and other third party products. NetraPLM™ is fully customizable and can be implemented within a company’s existing IT infrastructure. A Product Manager at a large third party Logistics organization stated “the fact that it can integrate with so many kinds of infrastructure makes it a really cost-effective solution for companies with large investments in IT”. The target date for release of an alpha version is set for December 2013, followed by patch releases and new functionality through April 2016. Netra's India operations are growing by leaps and bounds. 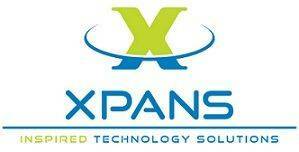 Our new branding as Xpans IT Services Private Limited allows us to serve our international customers and India-based customers out of Bangalore, Chennai, Hyderabad, and Ahmedabad. Netra recognized top performers at its 2012-2013 Awards Banquet on September 8, 2013. Come check out the photos on our Facebook page!